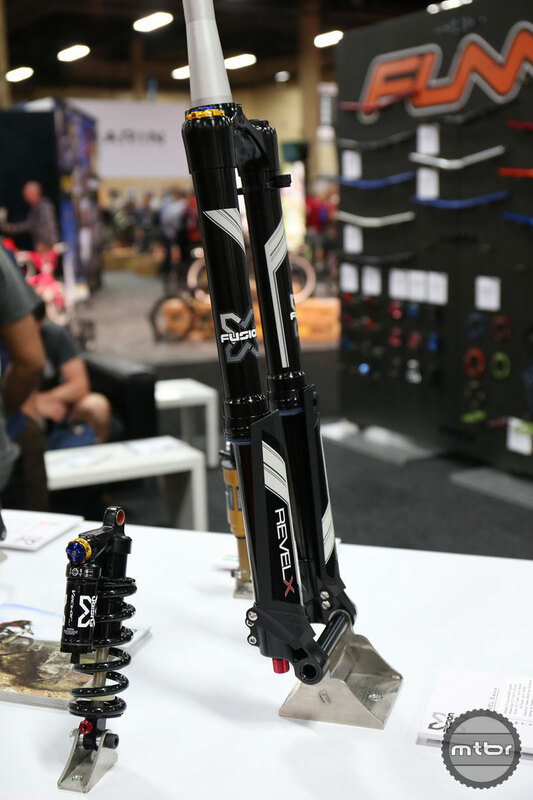 Clarke Dalton, X-Fusion Marketing Manager, runs us through the changes between the previous limited edition inverted Revel fork and the new production model. 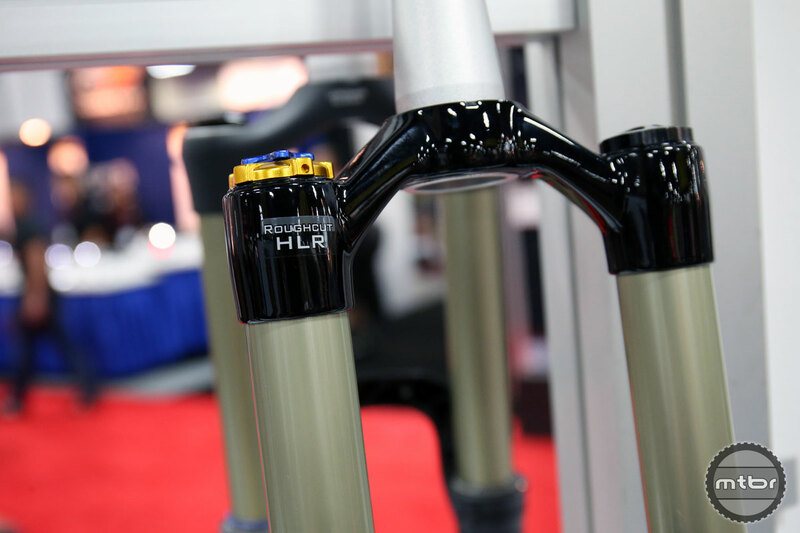 He also gives us some insight into the new Roughcut HLR Damper. 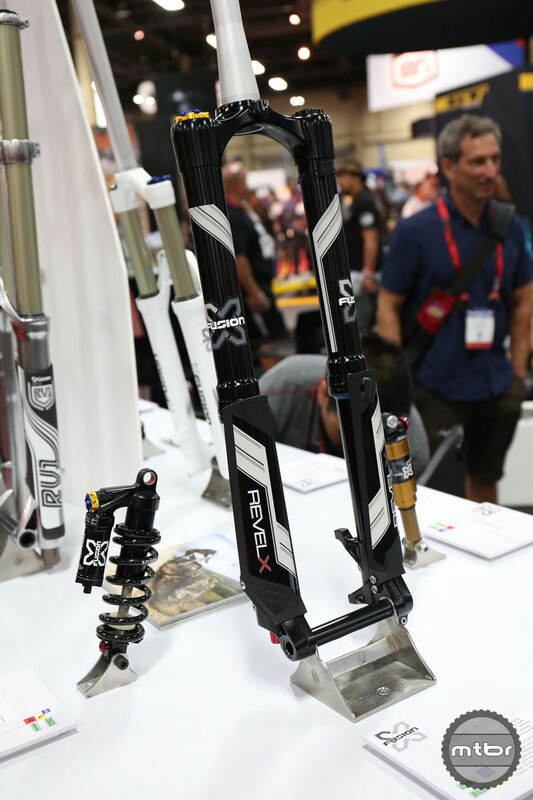 Originally released a few years ago as a limited edition model, X-Fusion has now created a production version of the inverted Revel. This helps bring the price down from the stratospheric $1,776, to a more reasonable $999. 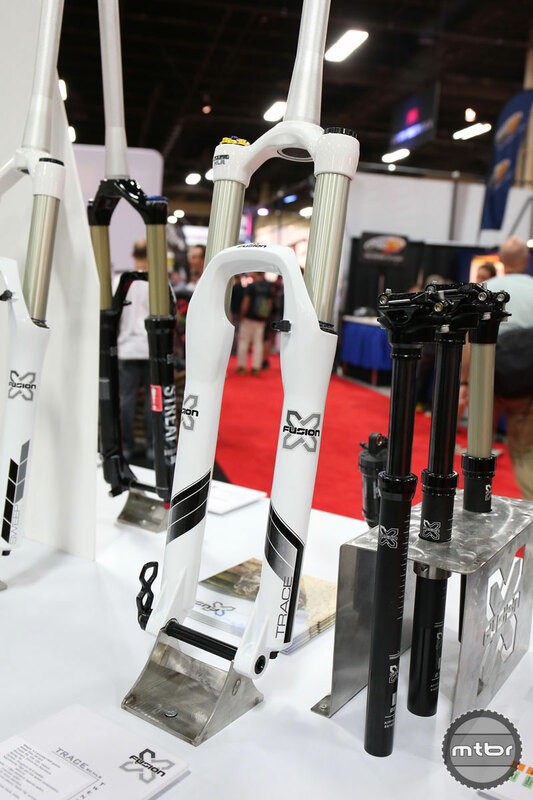 Aesthetically, the major difference is they’ve ditched the gold plated look for all black stanchions. Internally, they’re using the new Roughcut HLR damping system, which will be shared across the entire 34mm line (and is retrofittable). This damper utilizes a bladder, which eliminates the cavitation issues experienced with open baths, and helps reduce weight. This also gives the Revel 16 clicks of high and low speed compression, as well as 36 rebound clicks. 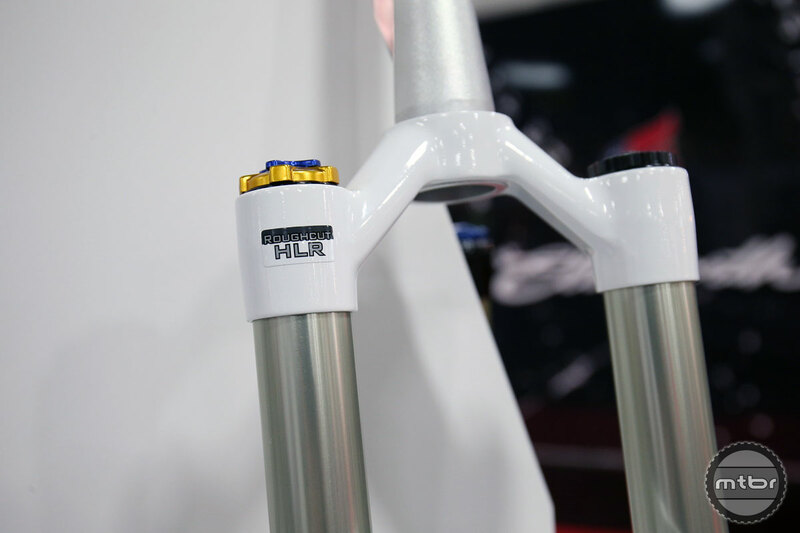 There are also two dedicated crowns for different wheelsizes.The 650B offset is 46mm, while the 29er has a 51mm offset. Both will take any 20m hub. 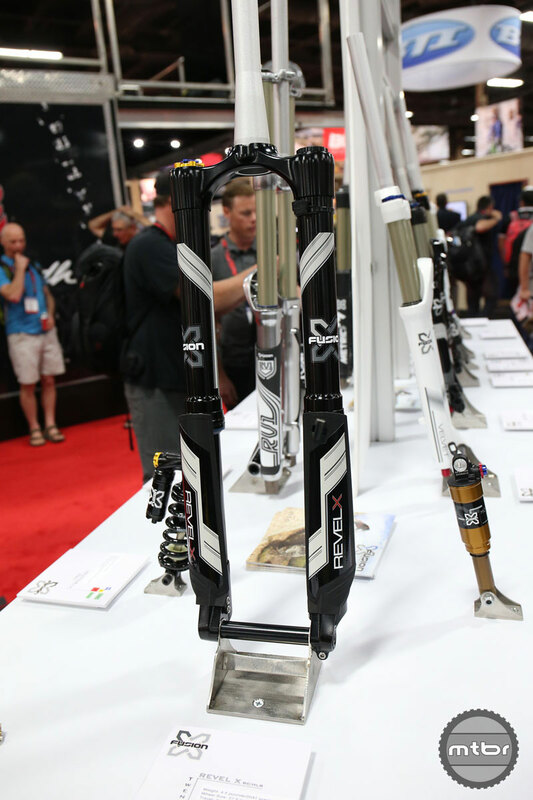 When paired with a smaller wheel, the fork can get 160mm of travel, while the max travel for a Revel with 29er wheels is 140mmm. 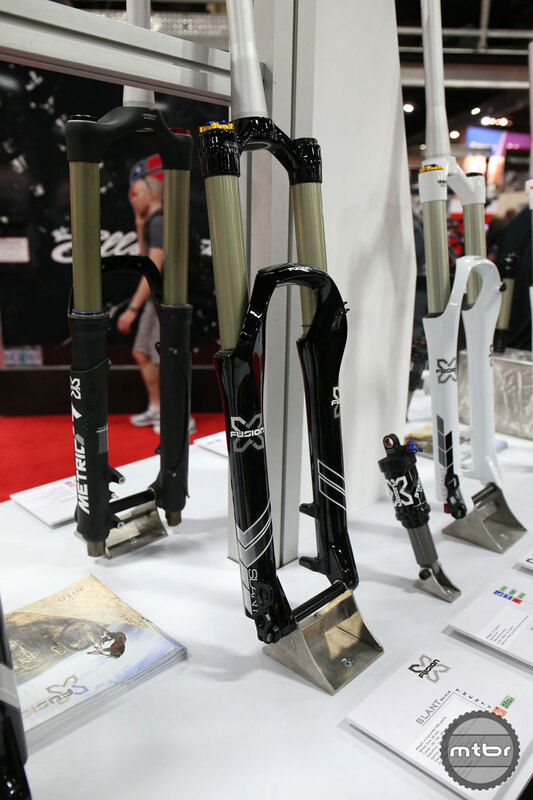 Out back, the big news is the new air sleeve that has a 15% larger air can, and will allow you to ad spacers to help adjust progressiveness. 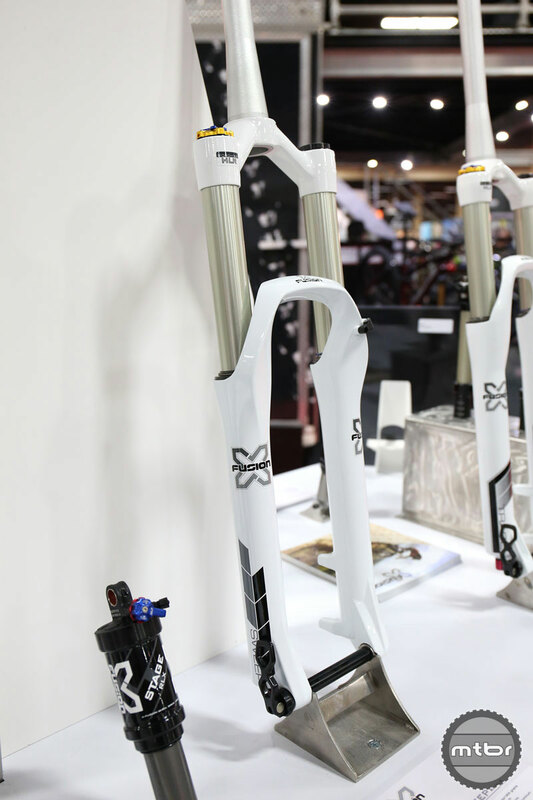 In addition to new internals and air can, the entire line receives new graphics. 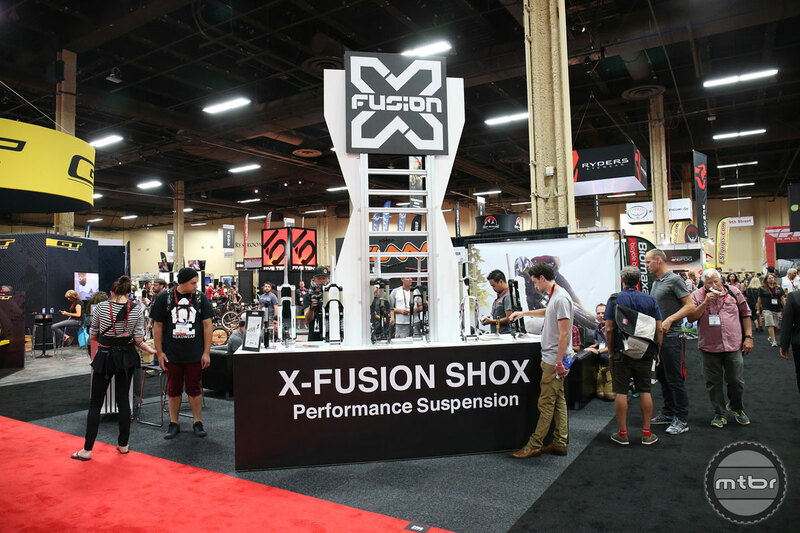 X-Fusion’s new Roughcut HLR is the latest revolution of our coveted HLR damping system. 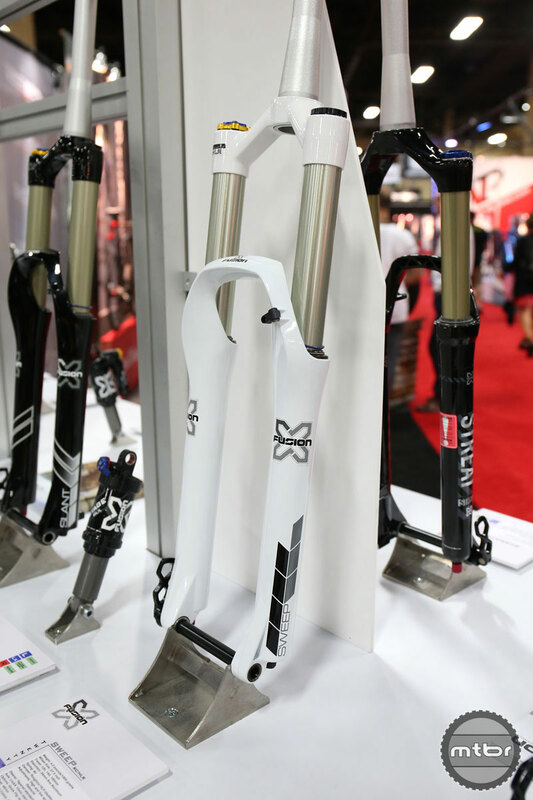 Patented keyway system restricting any twisting of the stanchions. 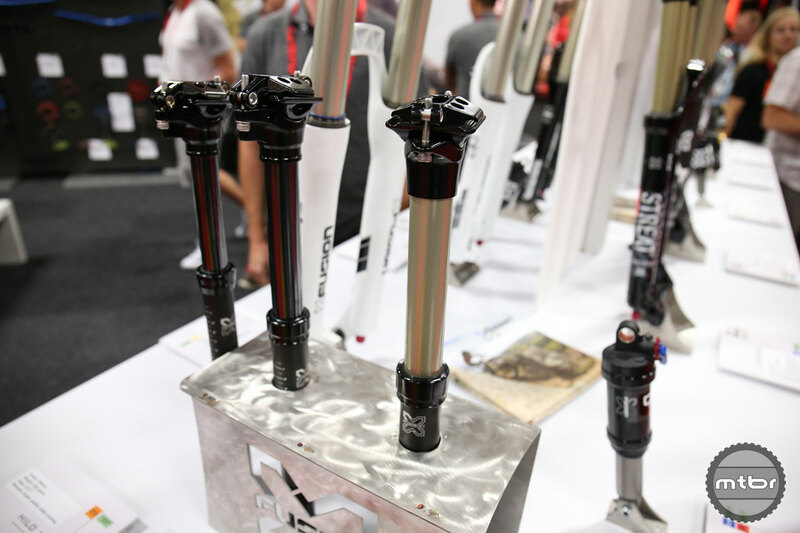 The Roughcut HLR damper system gives riders a wide range of adjustment to High and Low speed compression and rebound. Patented keyway system. 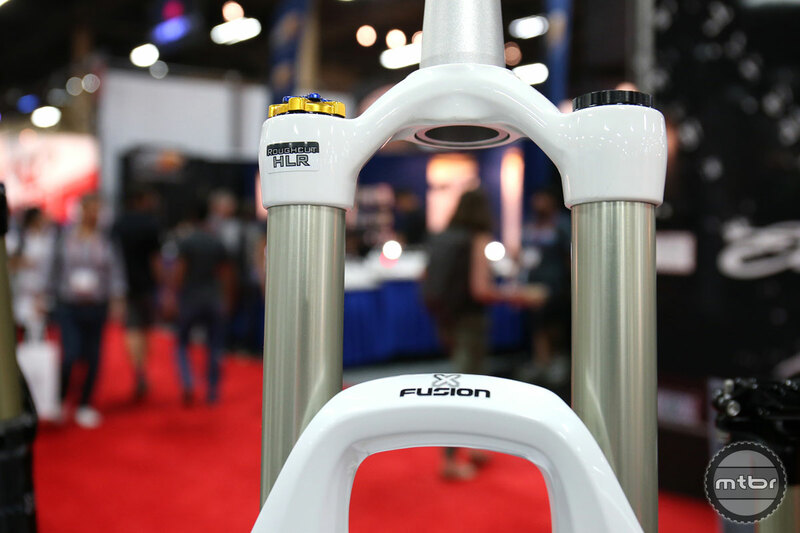 These trilateral keyways located along side each of the stanchion and upper tubes restrict any twisting and gives you the most stout and consistent stroke over every impact. 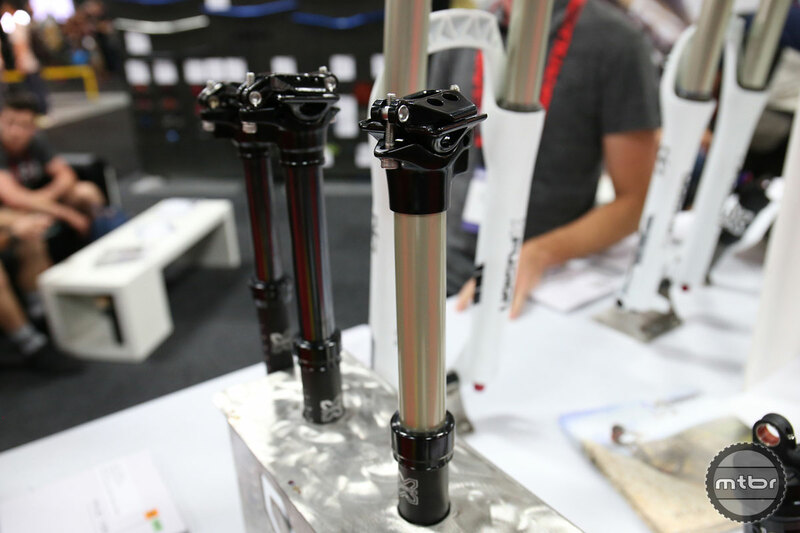 Fork guards to protect stanchion tubes. Clip on brake hose guide. Adjustments: High and Low Speed Comp., Rebound, Air Pressure. Double unify that crown Paul Turner! !